Greenery added to a fence can brighten a small space. Do you often look to your backyard longing for a more private and usable space? Does what you have seem too close for comfort to your neighbors or unreasonably tiny? Have no fear, you have plenty of viable options to transform your small space into a relaxing one before giving up on it altogether. Take a deep breath, privacy fences can be incorporated to bring life to your yard without making you feel trapped or claustrophobic. 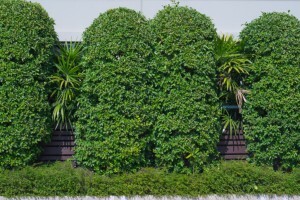 Container Plants or Shrubs: Sometimes the solution to your problem can really be as simple as implementing a small and unobtrusive garden with container plants or shrubs. Not only will plants add a pop of color and joy to your small space, but growing your plants in raised beds or berms (making them eye level) will give you a surprising sense of seclusion. You can also adjust the containers or beds with ease to cater to sunlight or your personal preference. Wood: Wooden fencing comes in extensive styles and options. The design flexibility can complement any small space with a natural or rustic look that accommodates privacy and decorative needs. Vinyl: Vinyl fencing is an increasingly popular option due to its clean and elegant appearance paired with minimal maintenance. Vinyl fencing can be implemented in classic picket styles as well as those that mimic the look of wood, but with more durability. You don’t have to worry about vinyl fencing warping, rotting or splintering. Lattice/Trellis: Both lattice and trellis are lightweight options that provide optimal sunlight and privacy without feeling too closed off. They are reasonably priced and especially aesthetically pleasing when used to showcase growing vines and flowers. Ornamental Iron or “Wrought Iron”: Okay, we know we said lightweight materials are preferred. But there is something classy, elegant and downright enchanting about ornamental iron fencing (offered in both steel and aluminum) that could turn your small space into something special. Ornamental fencing is surprisingly versatile. Aluminum ornamental fencing is especially durable against adverse weather and comes in a variety of designs. No matter which material you decide to use to transform and fence your small space, there is opportunity to create something worth escaping to. Rustic designs and colors are a great compliment to antique gardens. Your fence could even serve as a living art wall! 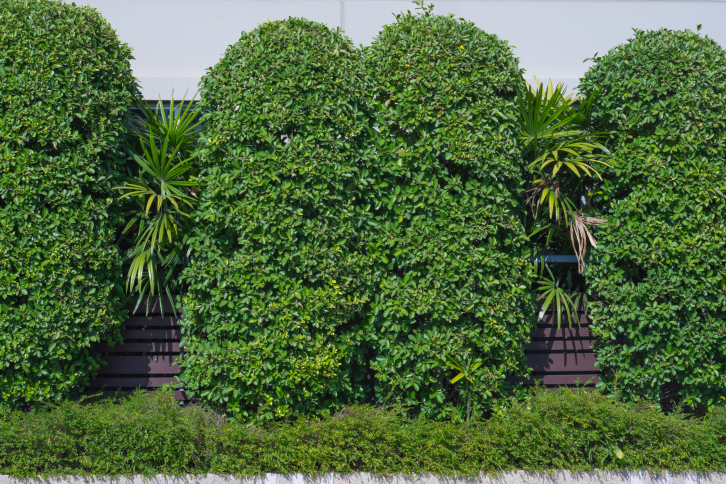 Your plants don’t have to be in pristine containers either – consider out-of-the-ordinary materials like old cans. Be sure to implement appealing and effective outdoor-safe lighting to compliment your privacy fence, such as energy-saving solar lights. Check out more unique ideas for implementing privacy in your backyard here. If you choose Hercules Fence of Richmond, VA today, you’ll learn why we’re the best in the business. The knowledgeable people of Hercules Fence have developed a reputation since 1955 for professional service and quality installation. With over 50 years in the fence business, we are well aware that our reputation must be earned anew every day. Contact Hercules Fence of Richmond, VA today at 804-752-7992 or contact us on our website to talk about a residential or commercial fence. This entry was posted on Friday, December 11th, 2015 at 9:37 pm. Both comments and pings are currently closed.